Ilé La Wà is a project created and produced by Tolu Agbelusi and it is her debut play. Tapiwa (Mamito Kukwikila), Ellie (Damilola DK Fashola), Ronu (Winston Sarpong) and Sasha (Tolu Agbelusi) are held in a detention room because during a check on the streets of London they could not provide an ID. Through storytelling, poetry and music each character is given the possibility to talk about the past and about what does it mean not being able to feel at home in the place where you live. There are funny jokes and moments of drama especially when Ellie recriminates her right to not be detained, because she is born in London, has always worked hard in her life to be where she is. And today, she has an interview to become the CEO of a prestigious company, Goldman. Obviously her simplified vision “you are detained here because you did not follow the rules” clashes against the points of view of the others, like Ronu, who was sent to the UK to live with his uncle when he was a child but still does have not the right to stay and does not have enough money to pay a lawyer; or Tapiwa who had to leave her husband and when arrived to London worked illegally and then found herself pregnant and homeless, with the asylum request rejected. 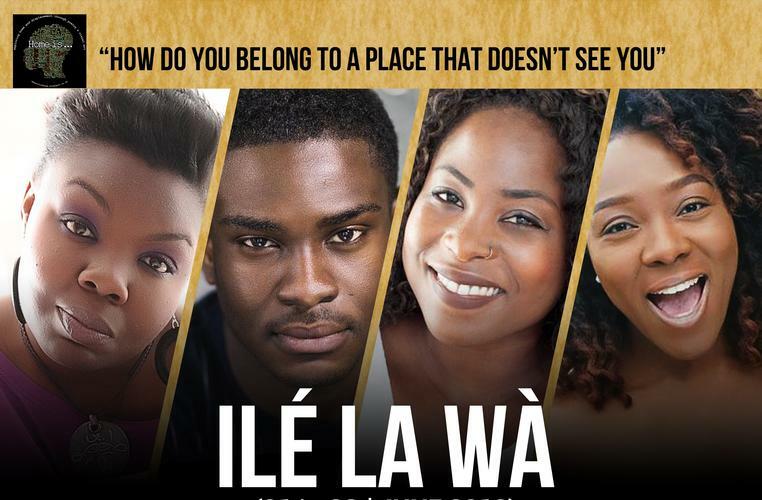 Even if in my opinion a multiethnic cast would have helped to give more sense of diversity, Ilé La Wà is an thought-provoking emotional play who delivers very well the message of how can be painful to be an immigrant in a place that – like Ellie remarks -you have chosen, even if it has not chosen you. Just a note: the theatre should not allow latecomers up to 30 minutes after the beginning of the show, as it is distracting and I lost my concentration few times.